RHITES-N, Lango will contribute to improving key population- based national health indicators; build the capacity of the Ugandan government to carry out a sustainable and locally- driven response to the HIV epidemic, while also improving TB, malaria, nutrition, MNCH+A, and WASH outcomes. JSI will work with Ugandan stakeholders to design and implement health system strengthening strategies to scale up high-impact, evidence-based interventions at the national, sub-regional, district, and community levels. Interventions will include VMMC, virtual elimination of mother-to-child transmission of HIV, antiretroviral therapy, and condom education and distribution. JSI will focus where the greatest impact can be realized, with a priority on hard-to-reach and high-HIV-prevalence locations. Lead the preparation and implementation of the internship programme annual work plan; prepare and release internship applications advertisements and organize selection interviews for interns by the recruitment committee in collaboration with the Human Resource Manager of RHITES-N, Lango. Support the RHITES-N, Lango HR manager in conducting reference checks, on boarding, liaising with the host institution to ensure proper orientation, and ensuring performance reviews are carried out. Link with host institutions to identify available internship opportunities/vacancies. The incumbent will ensure appointment of supervisors and mentors in the host institutions and link with training institutions to ensure appointment of faculty supervisors, monitoring of interns and sign memoranda of understanding. In addition, he/she will support identification of challenges and solutions for effective internship programmes, prepare activity reports for internship activities, establish a tracking mechanism for employment of internship beneficiaries after internship. Actively participate in Coordination Meetings and related forums with DHT, NGOs, CBOs and training institutions supporting the RHITES-North Lango internship program. Previous experience in working with district local governments and knowledge of the health context in Lango will be an added advantage. Knowledge of the relevant Uganda national health policies, strategies and structures. 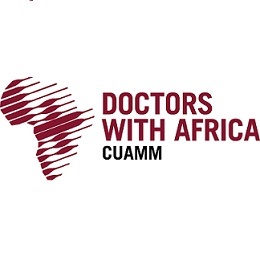 All applicants should send an application Letter, Personal File Form, Download Here and updated CV to uganda@cuamm.org with the subject - “Applications RHITES NL August 2018”. Email should have only the 3 attachments (Application Letter, CV and Personal file form). Please do not fill the personal file form online, download it, fill and send as attachment with other documents.